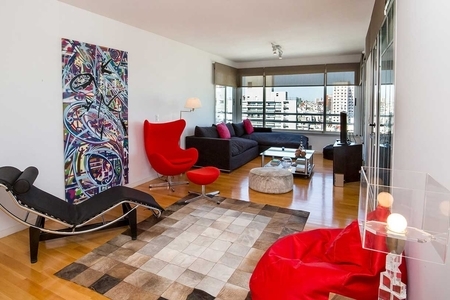 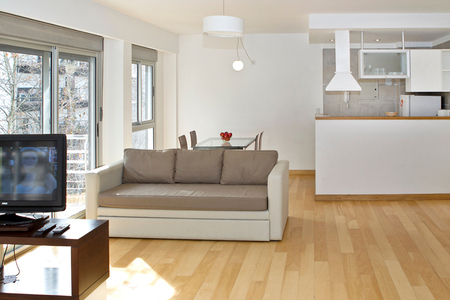 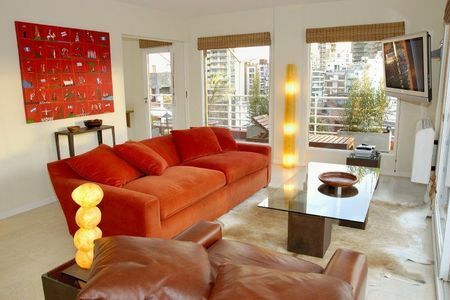 This apartment is fantastic for it's amplitude and patio , which lets you enjoy the Buenos Aires nights outdoors. 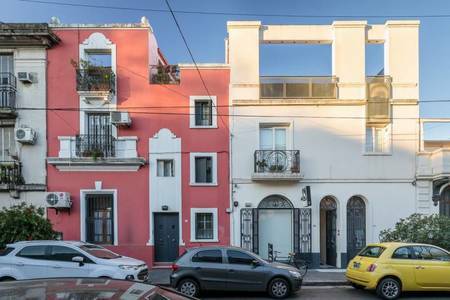 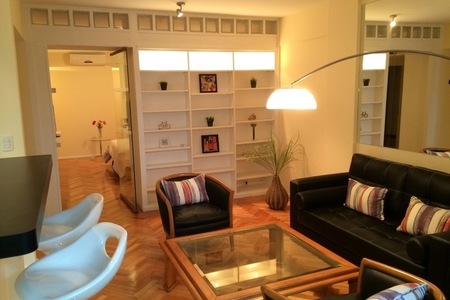 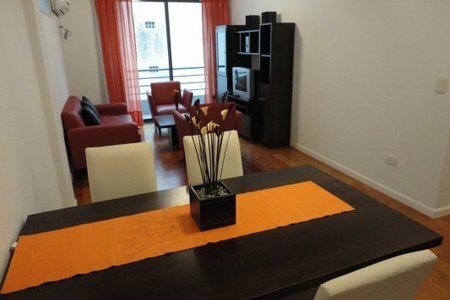 It is located 2 blocks from Abasto Shopping, on the border with Almagro. 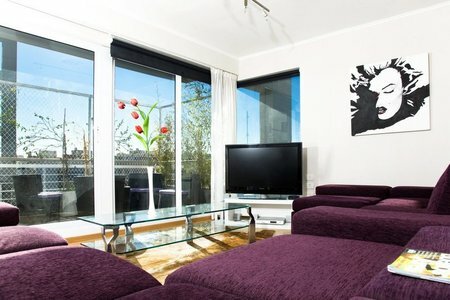 This location is excellent in terms of connectivity as there are 3 subway lines nearby, train, many buses, taxis and bike paths. 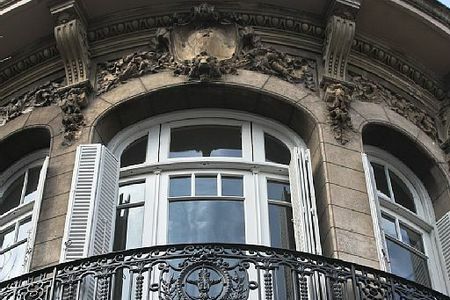 It is a commercial area with many different things in business avenues and restaurants, bars and cultural tango houses. 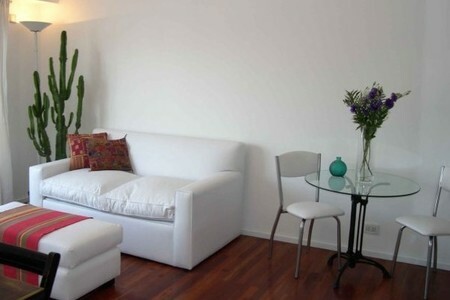 The apartment is ideal for couples, is very bright, has a large bedroom with double bed and a large closet, bathroom with tub, living room table for 4 people and sofa-bed for two people, and a separate kitchen. 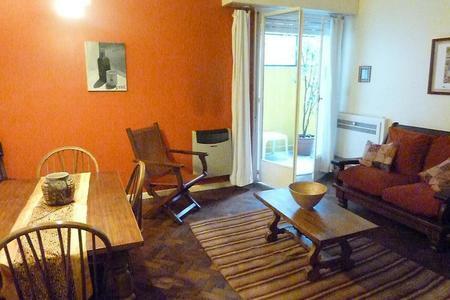 Both the bedroom and the room have wooden floors (parquet), making the place very warm. 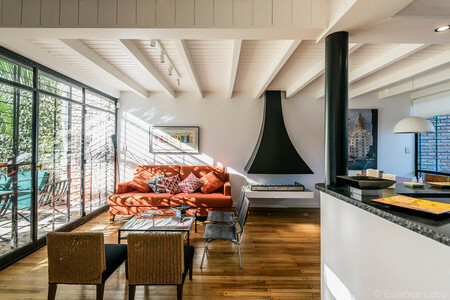 The patio makes this apartment unique. 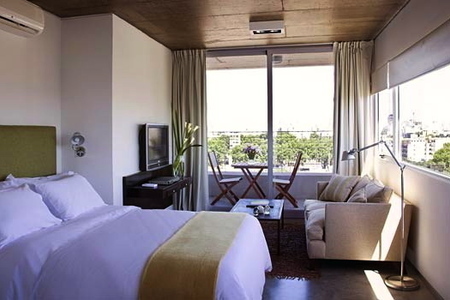 It is located on the first floor with lift and 24-hour security , being handicap accessible, it has a terrace with grill on the 17th floor, so that you can enjoy argentinian meat.